Once again, we found ourselves at the opening night of the Friends of the Art Theatre pantomime in New Mills and, as usual, we were not disappointed. It was a great traditional family show with humour for the adults as well as the children, in fact some jokes even made me laugh and I thought I’d heard them all! Apart from some first night nerves, which is understandable, the show opened with what seemed to be the whole cast on stage – bright and colourful and soon got under way at great pace. 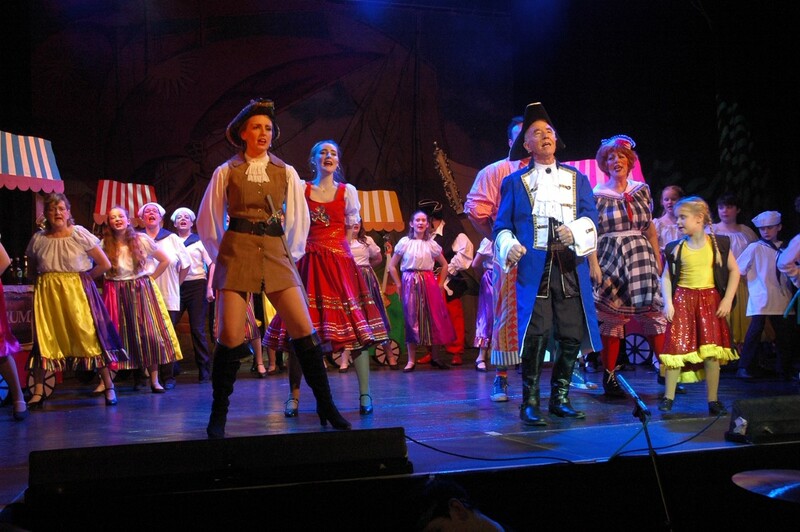 All the chorus and dancers are given pirate names – Marcy Cooper, aged 7, shone through for me showing no sign of nerves! Well done to the director (Rob Brittles) Choreographer (Cathryn Yates) and the Musical Director (Tim Walker) who managed to produce a great pantomime between them, which is never easy when there is limited time and budget to put an amateur show on. Oh – and the three numbers from The Greatest Showman – spot on! So, book now for the last performances next weekend you won’t be disappointed, it will brighten up your day!